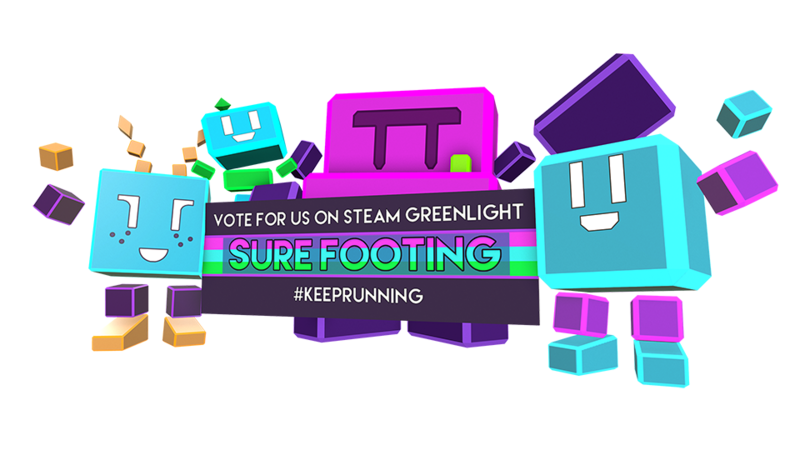 Sure Footing is a fast and frantic endless running platformer about four friends saving their world from extinction. Their world Computra is under threat from the evil Ramrafstar and his ferocious minion Deletion Dave as they seek to destroy the partitions that hold all of Computra together. Verena Riedl is a game developer with experience in production and marketing and keeps Tommy from saying silly things about Sure Footing (or anything else for that matter). Verena has managed a number of projects both in her native Austria as well as the UK, including being marketing director of the nucl.ai conference[www.nucl.ai]. You can play a limited demo and buy a key for the first-access build of Sure Footing right now over on the Sure Footing Itch.io store page[tableflipgames.itch.io]. Visit the Table Flip Games Website[www.tableflipgames.co.uk].